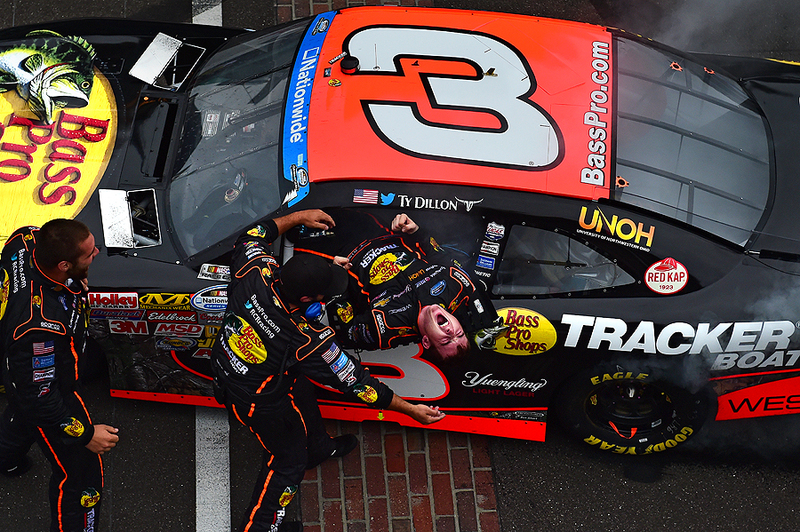 "Ty Dillon, driver of the #3 Bass Pro Shops Chevrolet, celebrates with his team after winning the NASCAR Nationwide Series Lilly Diabetes 250 at Indianapolis Motor Speedway on July 26, 2014 in Indianapolis, Indiana." Nothing tastes sweeter than your first victory - and Ty Dillon, driver of the #3 Bass Pro Shops Chevrolet - showed the world just that. During an overcast day at Indianapolis Motor Speedway, Dillon held off the field to take the Nationwide Series Lilly Diabetes 250 checkered flag for his first ever win in the series. Shooting for Getty Images, I had the always exciting opportunity to be perched in the flag stand over-top the finish line, and in Indianapolis, the famed bricks. Not only is this an unique angle, but drivers tend to celebrate right under the stand. While the kissing of the bricks is the iconic shot, I loved the thrill and pure joy of Dillon. In a sport where driver's faces are typically shielded by helmets, it was a nice surprise to see a fist-clinching driver celebrate on the track rather than in victory lane. 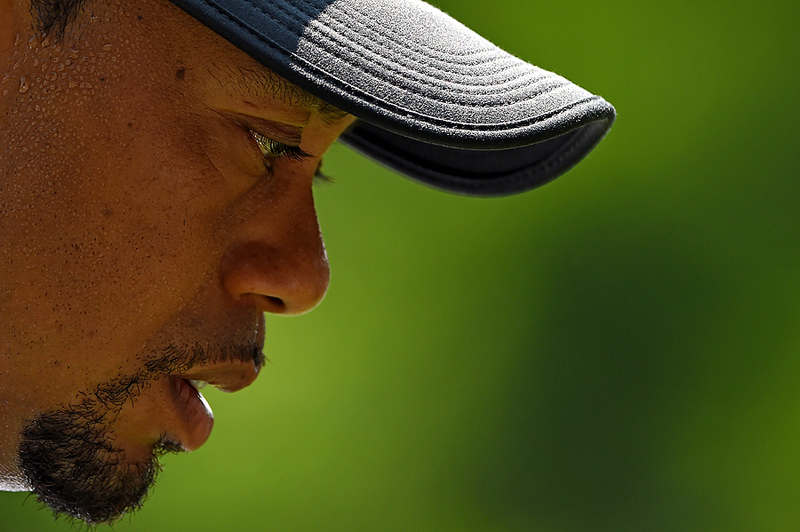 "Tiger Woods of the United States looks on during the second round of the Quicken Loans National at Congressional Country Club on June 27, 2014 in Bethesda, Maryland." Last week, I had the opportunity to document not only the Quicken Loans National at Congressional Country Club for Getty Images, but the return of Tiger Woods. Earlier in the year, it didn't look like the man in red would be on roster as he underwent back surgery. But he recovered and made his debut after more than 100 days away from golf. I haven't covered a full tournament in quite a while, and I quickly remembered how demanding it was roaming the course for everything we needed as a team. Tiger did not make the cut, and it made for lighter weekend, but we were still very busy. On Sunday, I chased not only the leaders, but those leaders who possibly could have qualified for the The Open. Anyone who ever says golf is easy to shoot is far from right. Despite my feet hurting a little bit on Monday, it was a blast to be back out on the peaceful golf course.